Isn't this the cutest? I am so glad that we now have a Dog punch as well as the Cat punch. 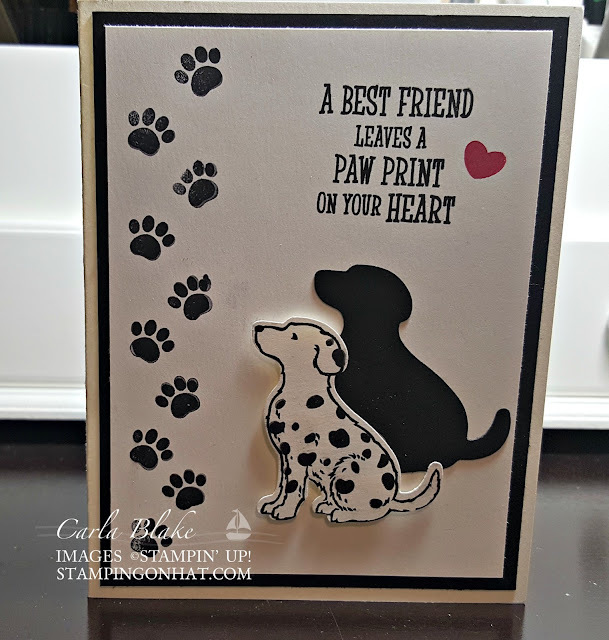 Stamp the dog with a solid colored coat, with large spots, or with small spots like mine.